Why did you develop CURE? I’m responding to repeated requests from doctors who need help with their websites. Many spent thousands of dollars for sites that actually hurt their practices. When Squarespace introduced their new platform Squarespace 6, I knew there was an opportunity to truly help doctors develop their own beautiful and functional websites with all the bells and whistles they could possibly need -- including an online store for their supplements. Squarespace 6 makes it so easy, there’s no need to hire a professional to construct the project. Will I really be able to build my own website and maintain it? Yes, absolutely. You will have stunning designs “right out of the box” with NO coding required. None. Same with updating and adding new content: there simply are no technical barriers anymore. It is just that simple. Yes! We know you are busy. Each Module will be recorded and archived on a password protected site. You can watch it at any time of day and join us for the coaching calls each Friday at 9:00 AM PST (that's 12:00 PM EST) or 12:00 PST. And you can have access to the LIVE group coaching calls each Friday at 9:00 AM PST (that's 12:00 PM EST) or 12:00 PST. If you can't make the LIVE calls- just send in your questions and we will answer your questions and send you the recording! If you are going to listen to the recording, you will log into a password protected site (one log in per person). Why does CURE use Squarespace and not the more popular Wordpress? There are several reasons for choosing Squarespace over Wordpress. First and foremost, Squarespace is far more comprehensive and enables you to do more, more easily. Second, design. When people think of Wordpress, they think about its free blog + pages. While Wordpress offers design templates, the visual quality just isn’t there. In my experience, poor design ruins many doctors’ websites; they’re simply unremarkable at best, and off-putting at worst. They certainly do not “invite” patients. Third, cost. To get a fully functioning site out of Wordpress, you need to buy hosting and that will cost you. Then you’re looking at a bewildering array of plug-ins to choose from. With Squarespace you can run multiple blogs, operate an online store and offer online appointment scheduling. Finally, technicalities. With Wordpress, you’re forced to buy a theme. It may fit your needs, it may not. So, once again, there’s a compromised design. You will almost certainly need someone to assist with set-up and require regular help to maintain the site. In short, Wordpress offers a service that is more complex and more technical, while being less attractive. To me, it’s no contest. Squarespace wins! One simple reason is that you get stunning designs right out of the box -- no coding necessary. You can update and change your site every day. You are not stuck with the same design/theme. You can change designs as often as you like. Your copy and blog and other content conforms, with minor tweaks, to every design change. Plus, you get “Dynamic Blogging,” meaning a push of a button sends it to all of your Social Media. You can also easily set up and maintain more than one blog. Why more than one blog? Content is more readily searched by Google. I recommend at least 2 blogs. (AS you’ll see in the CURE, we don't call them blogs - but it is your primary content). You’ll be fully SEO enabled. Squarespace easily directs you to the area to place your meta tags, which are what Google also looks for when ranking a site. Add to all this the ease and profitability of creating an On-Line store in a snap, and you have a slam dunk for Squarespace 6. Oh, and did I mention, it is fully mobile-optimized? Come on. You just can’t beat this menu of services. I have been hearing about all of this hacking into Wordpress. Will Squarespace have the same problems? Because Wordpress requires plug-ins, it will remain more vulnerable, as plug-ins are very susceptible to hacking. That means you need extra security, and in turn, hiring someone to provide that security for you. So, more cost. With Squarespace, everything operates within a highly controlled environment. There’s no need to add risk by using third party plug-ins and tools that allow malicious code and hacker types to infiltrate your site. Every Squarespace site is on the same infrastructure as their corporate site -- squarespace.com. This means they have security monitoring everything 24/7 to make sure we stay up and running. The added security makes Squarespace far safer than Wordpress where everyone plugs in external tools (and servers) that may (or may not) have sufficient protection. Can doctors set up a Sqaurespace 6 site without my class? If, however, you feel you would like some expert guidance to REALLY explain why you need "this" and why "that" is not so important for you, the class is an ideal setting. I walk you through the step-by-step process of creating your "brand" so that patients can FIND you and your services. 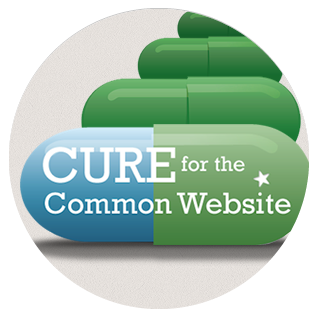 The CURE helps you create exactly the right kind of site map that works for doctors. And, I make the process easy and painless and highly entertaining. Yes, it’s learning, but it is also (and always) fun! Do I really need to have a blog? You hear a lot about Blogging. I explain why it is so essential for doctors. Once you hear me, you’ll be itching to start your blog! The New Squarespace allows for truly seamless blogging. Best of all, I will help you skip the painful and unnecessary process of writing lots of website copy. LESS is so much more. Save the copy for your blogging pages. Can I really have an online store? This is a new module for Squarespace, and it is a snap. Imagine an online store for your supplements, so patients can order anytime day or night. (even from their phone)! You can create a reliable revenue stream that’s highly convenient for your patients. Is there a cost to Squarespace 6? Yes. But it includes your yearly hosting fees, and your URL, as well as hosting your online store. $16 a month? You can't beat it!